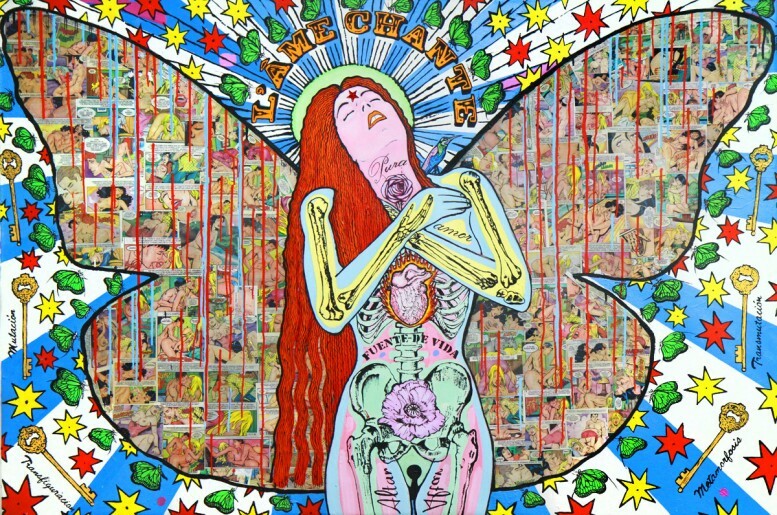 Currently on view at a gallery in Santiago, Chile a series of recent works by Cristóbal Jodorowsky (Mexico City, 1965), son of cult director Alejandro Jodorowsky, in his distinct style of mixing pop iconography with religious symbolism. The exhibition, entitled Reflejo de Soñados (Reflection of Dreaming Bodies), will also be accompanied by the release of a new book of poetry. On view at the Local Arte Contemporaneo Gallery, Av. Italia 1129, Providencia, Santiago, Chile.